If your Windows 10 PC is misbehaving or underperforming, often the best solution is to restore Windows 10. 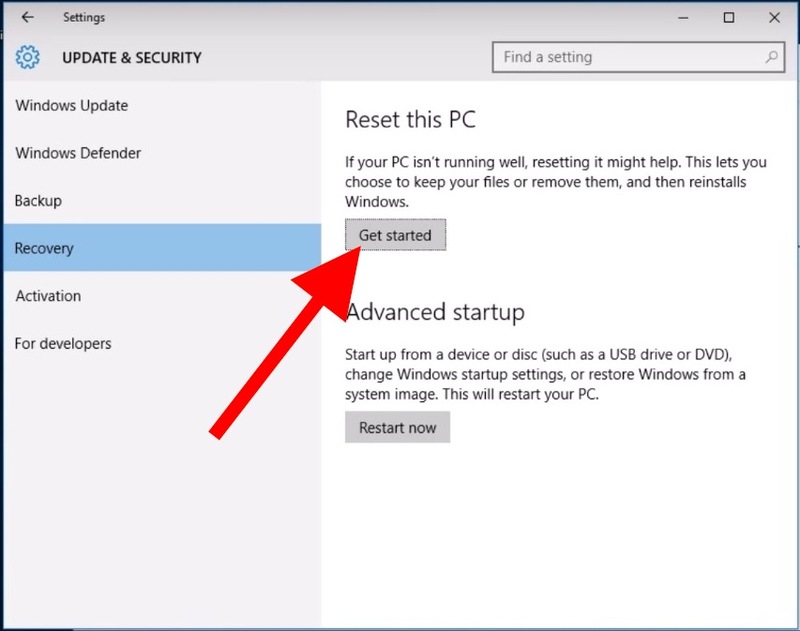 You can reset Windows 10 PC in two ways, by completely resetting the Windows PC to factory settings and removing all data from the computer, or by resetting just Windows 10 software itself by restoring a fresh Windows 10 installation and keeping the user files on the PC. We are focusing on simply reinstalling Windows 10 here, which aims to preserve files. Resetting Windows 10 is achieved by using the excellent Recovery features built into the Microsoft operating system. As the Recovery settings mode describes the reset Windows PC feature, “If your PC isn’t running well, resetting it might help. This lets you choose to keep your files or remove them, and then reinstalls Windows.” This is absolutely true and resetting Windows can certainly fix a problematic PC in many situations. WARNING: back up your data and personal files before doing this, if you do not back up your stuff you may lose all data permanently! Do not skip a backup of your personal files! Even though we are choosing to only reinstall Windows 10 here, things may still go wrong and so it’s always a good idea to backup first. Don’t skip backing up, seriously. This approach uses Recovery system restore to reinstall Windows 10 on the PC, it does not erase the entire computer so that your files are intact. It’s a good idea to backup anyway. The PC will reboot and Windows 10 will take over to complete this process of reinstalling system software. Because we chose to “Keep my files” then only Windows 10 will reinstall and when the PC boots back up again it will just be a fresh windows installation complete with your old data and files. 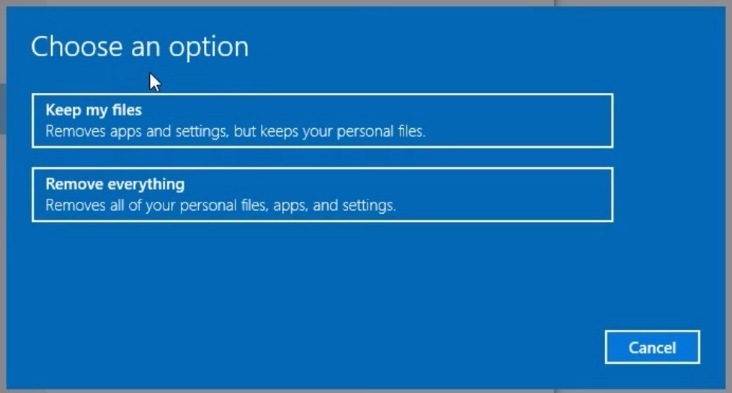 It is critical that you choose “Keep my files” because the “Remove everything” option will reset Windows 10 to factory settings and remove all data from the PC, completely wiping it out. This is a great troubleshooting technique that is available for Windows PC, just remember to back up your data and personal things before doing this!